At the same time, multiple counter-attacks by GNA forces have not allowed it to restore control over Tripoli International Airport. The main clashes are taking place south of it, in the town of al-Swani. 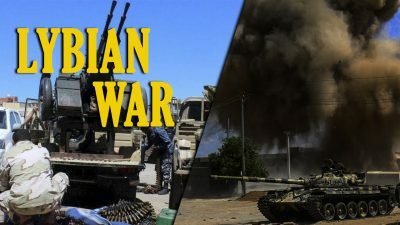 The LNA has been continuing to deploy reinforcements, including various military equipment, to the frontline near Tripoli. This move demonstrates that the LNA leadership is set to continue its military efforts in the area. While the statement did not mention Tripoli directly, Egypt, one of the main LNA backers, de-facto declared its support to the LNA advance. Additionally, an Egyptian spy plane conducted a reconnaissance flight over the city of Misrata. Misrata’s militias, most of them radicals, are actively supporting pro-GNA forces. An airbase south of the city is hosting most of GNA air force warplanes that carry out strikes on LNA units. Some sources speculated that the data collected by Egypt may be shared with the LNA in order to increase an efficiency of its operations. So far, pro-GNA militias have demonstrated that they are capable of resting the LNA advance near Tripoli if they unite their forces. However, if the battle is getting protracted, some pro-GNA groups may find that their participation in the ongoing clashes endanger their business efforts in their core areas of influence. This would create conditions for fragmentation of the pro-GNA force deployed near Tripoli.